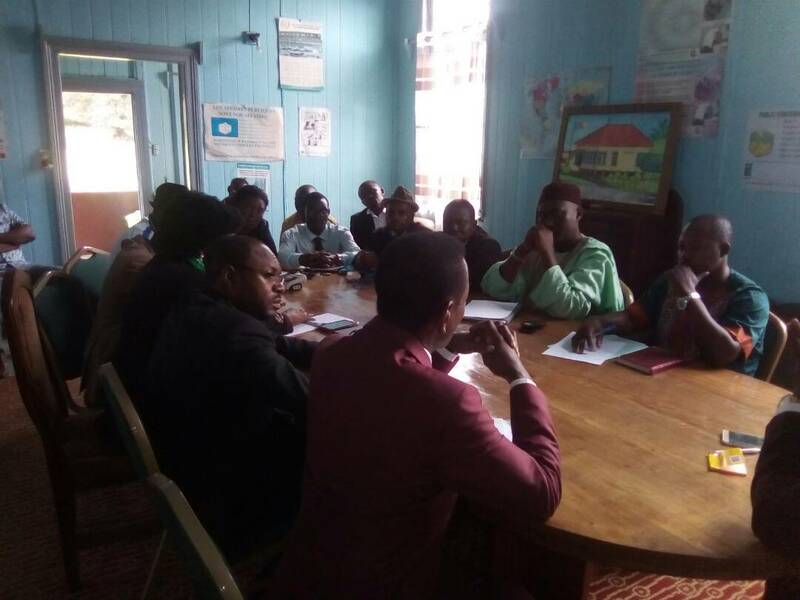 Civil Society Organisations (CSOs) in the Southwest Region of Cameroon have told the United Nations Organisations (UNO), schools will not resume in the Northwest and Southwest, until the release of all Anglophones detained. They send the strong message to the UN through the Special Representative of the United Nations Centre for Human Rights and Democracy for Central Africa (UNCHRD-CA), Anicet Ahowanou Agbessi. It was during a closed-door meeting held between the UN representative and some selected CSOs in the region. The Secretary General of the Southwest Regional Commission on Human Rights and Freedoms, Christopher Tiku Tambe, chaired the meeting that took place Friday August 11 2017, at the conference room of the commission’s headquarters in Buea. Speaking during the meeting, representatives of the CSOs took turns to blast the government of La Republic for perpetrating wanton human rights violations in the Northwest and Southwest Regions. “Our Regions have been turned to war zones. Military now parade the streets with well-loaded guns. Some even go about arresting innocent people for no just course. Until the government releases all those arrested, schools will not resume,” an angry CSO representative stated. The CSOs told the UN representative that the government has gone so wild that it does not consider the opinion of human right groups. To them, anyone living in the two Anglophone Regions and not taking side with the government is a potential target for arrest. “We have colleagues who have been picked up and taken to Yaounde, only because they criticised government’s actions against Anglophones. We need the government to listen to its citizens and avoid all such target arrests currently going on in the two regions,” another CSO representative cried out. The CSOs in unanimous voice, told the UN representative that schools in the Northwest and Southwest Regions risk not resuming this coming academic year. They indicated until such time when the government will release all those arrested and detained, and then engage the warring factions into meaningful dialogue, the crisis rocking the two regions risk continuing and even escalating to something worse. After paying key attention to the CSOs, the Regional Representative of the United Nations Centre for Human Rights and Democracy for Central Africa, Ahowanou Agbessi, underscored the need for the President of the Republic to grant amnesty to all those detained due to the Anglophone crisis. He disclosed that the United Nations is in permanent contact with President Paul Biya, to seek lasting solution to the Anglophone crisis. “The UN has taken as a top priority to solve the Anglophone crisis as soon as possible. We are discussing various strategies with President Paul Biya to solve the crisis. We understand that things could escalate to something we do not wish. We are for dialogue between all warring factions. Ahowanou Agbessi Anicet disclosed that his mission is to gather fresh recommendations on how to solve the crisis from different human right groups. He promised to treat the resolutions gotten from the meetings with utmost priority and significance. For his part, the Secretary General of the Southwest Regional Commission on Human Rights and Freedoms, Christopher Tiku Tambe, told the UN representative the population of the Northwest and Southwest Regions are in total lamentation. He joined his voice to the many who believe schools risk not resuming this academic year if the government does not solve those grievances put forward by aggrieved Anglophones.